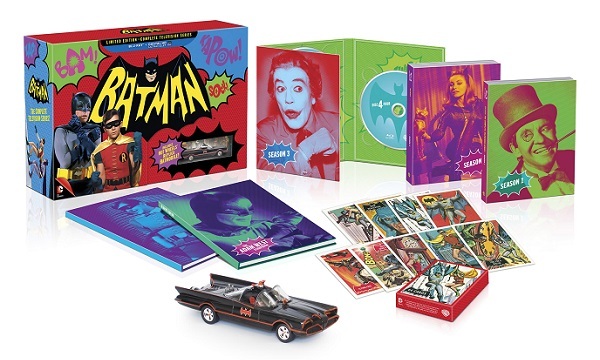 We’re just over a week away from one of the biggest Blu-ray releases of the year, as all three seasons of the Batman TV series are headed to high-def for the first time in a stellar limited edition set. For anybody who’s thinking that this isn’t so big of a deal, check out the video below, which gives a side-by-side comparison of the original footage and the digitally restored updates. It’s bat-magic, to say the least. Isn’t that stunning? It’s like watching a VHS version of Citizen Kane on a rear-projection TV right next to a flat-screen playing the Blu-ray version. It’s crazy to think that one of the most vividly colorful shows on TV could possibly get even brighter and sharper. Yet here it is. 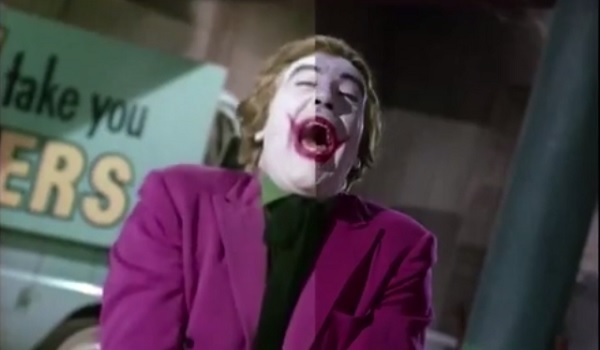 All it takes is one look at Cesar Romero’s Joker to see the difference. Just look at how washed out the left side of the picture is, both in the Joker’s white face paint and in his purple jacket. The right side makes everything look richer and now that jacket looks crisp enough to touch. Later in the video, the restored Joker looks absolutely amazing when put up against the bat-blurs that are Batman and Robin. I mean, I guess he doesn’t look as outstanding as Christopher Nolan’s IMAX footage from The Dark Knight, but the line between the two just got a lot thinner. The look of the product is just the icing on the cake here, as well. This excellent (and pricy) Batman set comes with all 120 fully remastered episodes, along with a Hot Wheels Batmobile replica, a set of 44 trading cards, an episode guide and the Adam West Scrapbook, which features tons of never-before-seen photographs from the show’s production. As far as special features go, Adam West is the subject of several, as he looks back at the role that built his career; he also invites some celebrity friends for a round table discussion. One feature follows Batman collectible enthusiasts, while another captures actors and producers talking about their favorite Batman moments. Check out what the massive set looks like below. Continuing the celebration of Batman’s 75th anniversary, Batman: The Complete TV Series will hit stores on Tuesday, November 11, along with the 25th anniversary special edition of Tim Burton’s Batman.